When is the last time a new course at your institution caused a stir in the media? Unless your university or college happens to teach a course titled The Boy Who Lived, All Grown Up: Assessing the Harry Potter Books and their Adaptations (Bravo University of Maryland!) or Surviving The Coming Zombie Apocalypse – Disasters, Catastrophes And Human Behavior (We applaud you Michigan State University!) most additions to your course catalogs probably don’t go viral which is why we had to heap some praise on Purdue University’s newest course addition. The fact that the Hyperloop isn’t real hasn’t stopped Purdue University from offering a Hyperloop design course this Fall through its three engineering programs. The timing couldn’t have been more perfect for the university as Elon Musk had announced earlier this year that he would be building his own test track and hosting a design competition for the Hyperloop’s pods. 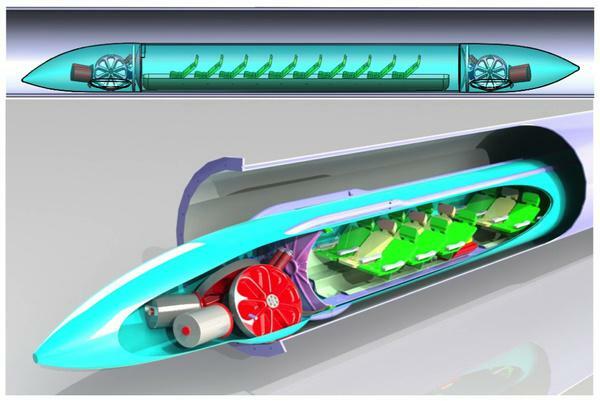 The course at Purdue requires students to design a passenger capsule for the transportation system that can travel at nearly sonic speed in a vacuum tube. Aside from the obvious reason why the decision to offer this course is interesting, it’s also incredibly impressive from a marketing perspective. You can’t buy the kind of press this news has bought for the college. A quick search on google reveals a tidal-wave of articles, posts and mentions about the Hyperloop course Purdue are offering. If it teaches us anything it’s that an agile marketing environment can help your institution stay ahead of the curve. Would this course have made such an impact in the media if it had been released and promoted a year or two down the line? Timeliness can be everything when it comes to marketing. Ever changing trends and market competition means Higher Ed marketing teams need to have their fingers constantly poised above the launch button. What do you reckon; is your Higher Ed organization a trend setter? Are you in a perpetual state of cat-like readiness eager to take advantage of the latest cultural zeitgeist? Let us know in the comments below!